In India, most people are unable to afford eye screenings for diseases or even corrective lenses. Research indicates that there are a dismal 9 opthalmologists for every million in our nation. The problem is worse in rural India, where the ratio is 0.3 ophthalmologists for every million. There is a visible unmet gap. Even if India works towards closing this gap by training an increased number of ophthalmologists, the high costs of providing direct eye screening through onsite ophthalmologists using the traditional eye screening equipment would be unaffordable to a majority of our populations. India is the world’s ‘Diabetic Capital’ with over 60 million diabetics. Of these, one in every four people will have diabetic retinopathy; an illness which damages the retina due to complications caused by diabetes. If untreated, this can lead to irreversible blindness. Additionally, more than 350 million Indian children lack formal eye screening systems and research has indicated that 4 – 5 per cent of children are at risk of developing a condition called Amblyopia or Lazy Eye, which if left undiagnosed at an early stage can also lead to permanent vision loss. Today, increasing costs and limited technological innovations are the main reason why eye screenings are only available in speciality ophthalmology centres. Additionally, the cost and accessibility of an eye screening is beyond the reach of most people across the nation. The magnitude of the problem clearly demands an affordable screening solution which can be operated without an onsite ophthalmologist. Founded in December 2013, Welcare’s pioneering Tele-Ophthalmology solution is making eye screening services affordable and available to masses through partnerships with existing diabetic centres, general hospitals as well as specialised centres such as endocrinology, neurological and paediatric. Welcare installs an innovative internet-connected retinal screening device and trains in-house technicians to operate the device with the patients. Post the screening, every patient’s information including retinal images are securely transferred online to Welcare’s growing team of certified ophthalmologists for review and diagnostics. The technicians/hospital staff share the recommendations with the patients. Welcare’s Tele-Ophthalmology solution makes eye screening services available to large numbers of high risk low-income patients at a cost they can afford and at a convenient location. This makes regular eye screening accessible and therefore patients are more likely to have early detection of eye-related diseases, many of which can be treated to prevent irreversible eye sight impact. Welcare’s solution has dramatically lowered the cost of an eye screening procedure by more than 50 per cent, thereby, making is extremely accessible to high-risk patients, which is especially beneficial for those living in Tier II and III cities and rural areas. On the other hand, health centres can generate additional revenues and ophthalmologists are now witnessing an upsurge in referrals for eye disease interventions allowing them to operate with higher efficiency. Since December 2013, Welcare’s Tele-Ophthalmology solution has reached out to over 100,000 patients at an affordable Rs 300 as opposed to Rs 1, 000 (charged in speciality centres). Over the next five years, Welcare is aiming to provide screening to 500, 000 high-risk patients across India. This intervention is expected to identify up to 100, 000 patients with treatable eye diseases. An Ophthalmologist and Healthcare Entrepreneur with over decade of experience, Dr. Senthil is an innovative and strategic thinker; one whose ideas have brought eye care within the reach of common people. 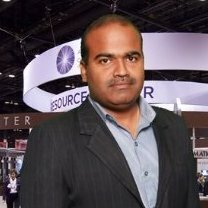 He aims to bring a Wal-Mart kind of eye-care revolution in India and has a special interest in BoP (Bottom of Pyramid) business. Dr. Senthil also runs a Foundation which reaches out to over 3,000 poor people every month through holistic eye camps.